Intersections: creating a safe encounter. 16 Jan Intersections: creating a safe encounter. An usual sign at a dangerous intrsection. Scan the intersection, identify potential conflicts and mentally determine the best course of action, should the worst-case scenario occur; thereby, executing the determined response in good time. Always come to a full stop before the stop sign. Scan left, right and then left again, as that is where your traffic is approaching from. 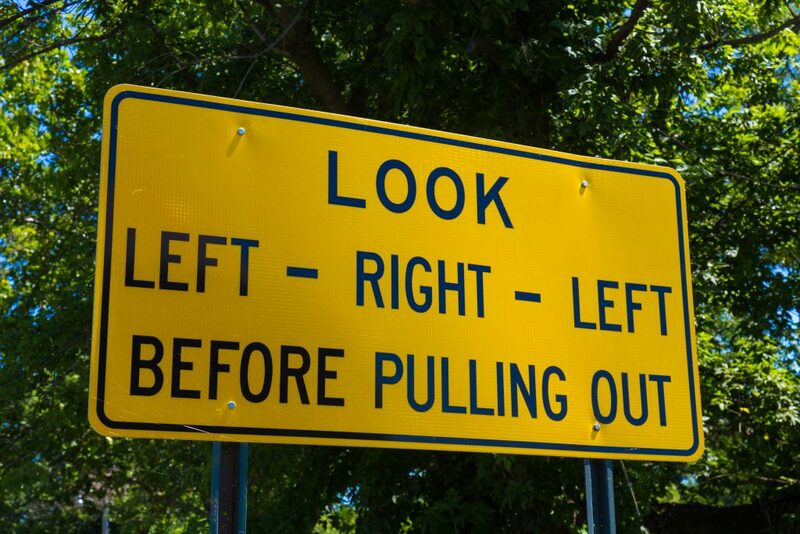 If you are unable to see clearly, DO NOT PULL OUT, but do drift forward until you can see the blocked line of sight. Many intersections are being converted to a round about type of intersection. 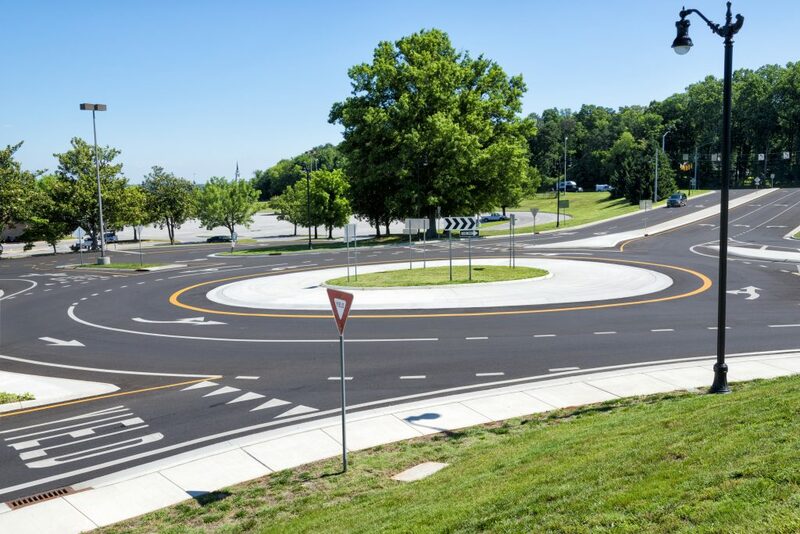 These roundabouts serve to lessen the conflict of T-bone encounters, and to slow traffic down. When approached from the rear by an emergency vehicle entering a roundabout, continue through your turn and then pull over outside the roundabout. If you are the second car to enter the intersection, put space between you and the car in front of you, allowing them to enter the intersection safely first. Entering traffic at any of the following circumstances you must yield to traffic that is already there. Vehicles entering a major thoroughfare from a side street must always yield to vehicle already on the main thoroughfare. An unprotected left turn (no green arrow, but solid green light) must yield to oncoming traffic. Proceed to the middle of the intersection on the green light and wait with your tires straight (in case of a rear end collision you will not be pushed into oncoming traffic) until the way is clear for you to turn. Even if the light turns yellow or red, the rest of the traffic must wait until you have cleared the intersection before proceeding. Always signal your intentions to turn! Turn from the far right lane to the far right lane. Do not change lanes in the intersection. Be sure to turn right from the right lane, then signal and change lanes if your lane ends, or you need to enter the left lane. Always signal, even if you are in a turn lane, still signal! At unprotected left enter into intersection, keep wheels pointing straight ahead, yield to oncoming traffic, then turn. You may even have your light turn yellow or red, but you can complete your turn, as all other traffic must yield to traffic already in the intersection. Watch turn lines to stay in your lane when using multiple left turn lanes.